The Indian subsidiary of Triumph Motorcyles, the famous British motorcycle manufacturer, is looking all set to launch the new model 2015 Tiger 800 XRx and XCx on our shores on 12th of this month. Of course, we’ll be covering this event LIVE and promise to bring to you all the details on the upcoming motorcycles. With the introduction of the two new motorcycles, Triumph Motorcycles will bring the latest iteration of one of its most successful nameplates in recent times. It may be noted that the first generation Triumph Tiger 800 and 800 XC made their debut way back in 2010 and have met with considerable success in most markets they are sold in. In this post here, we have compiled all the important new model 2015 Triumph Tiger 800 XRx and XCx India launch details. Check them out. Internationally, the new model 2015 Triumph Tiger motorcycles are available in four variants- XR, XC, XRx and XCx. In India though, only the top-end XRx and XCx will be sold. Both these motorcycles will become the first bikes in the segment to come with cruise control as a standard feature. Both these motorcycles will also get traction control, switchable ABS and ride by wire technology. The XRc also benefits from various WP suspension components. The XRx gets Showa suspension. 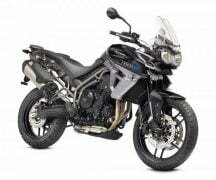 The new model 2015 Triumph Tiger range of motorcycles are powered by an 800cc, liquid-cooled, in-line three cylinder engine that pumps out a maximum power of 95PS at 9250rpm and a peak torque of 79Nm at 7850rpm. 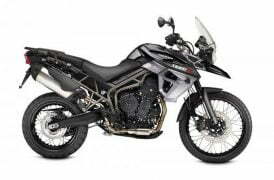 It is being expected that the new 2015 Triumph Tiger 800 XRx and 800 XCx will go on sale for roughly INR 14-15 lacs (ex-showroom). 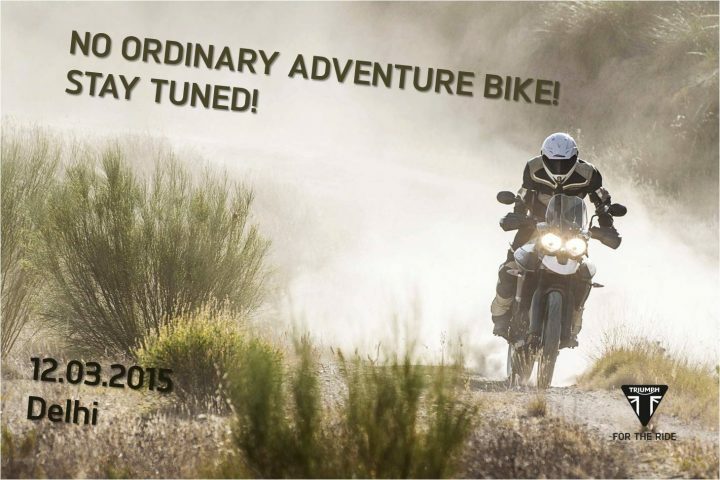 Stay tuned to Car Blog India for more on the new model 2015 Triumph Tiger motorcycles’ launch.